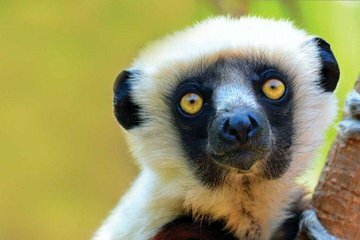 Adorable, bug-eyed primates, lemurs are unique to Madagascar. Go spotting them, with a local wildlife guide to act as your eyes, in Andasibe-Mantadia National Park, just 90 miles (145 kilometers) from Antananarivo. Enjoy a night in Andasibe, complete with breakfast and dinner, and visit Reserve Peyrieras Madagascar Exotic, Analamazaotra Special Reserve, and Vakona Private Reserve on this door-to-door tour.